If there's no Goel Hadam (ex: victim was a convert), does the accidental killer still need to go to an Ir Miklat? Suppose Reuvein was accidentally killed by Shimon. It turns out that Reuvein is a ger who has no halachik relatives. Since Reuvein has no next-of-kin and thus no one who can kill Shimon- does Shimon still need to go to an Ir Miklat, and if so, why? Thanks to the answer of @mbloch, I read the perush of Rav Pearl on Sefer Hamitsvot from Rasag. This is a Machloket Rishonim. Relevant points: A slave, who has no relationship, no upward and no downward, has no natural Goel Hadam, Rambam, Ran and Meiri wrote that the Bet Din officially appoints a Goel Hadam. As it is taught in a baraita: The verse states: “The blood redeemer shall slay the murderer when he meets him” (Numbers 35:21). This mitzva of redeeming the death caused by an unintentional killer falls on the blood redeemer, a relative of the victim. And from where is it derived that if the victim has no blood redeemer the court appoints a blood redeemer for him? As it is stated: “When he meets him,” which teaches that in any case he shall slay the murderer, whether he is a relative or a court-appointed blood redeemer. In this scenario, the murderer better get to a city of refuge fast! 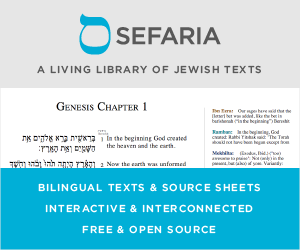 The Artscroll commentary notes multiple interpretations of the above baraita. Rashi understands it as referring to a killer who went to a city of refugee but left it. Others (incl. Ran) note the halacha follows the view that only a relative of the deceased may attack a killer who leaves a city of refuge (following the dispute in Makot 12a). There as well R Yosei HaGelili is of the opinion that anyone can kill the murderer if there is no redeemer. Not the answer you're looking for? Browse other questions tagged talmud-gemara city-of-refuge maseches-makos . What if a Goel HaDam (Blood Redeemer) accidentally kills his kinsman's accidental murderer - inside the latter's 'Ir Miklat (City of Refuge)? Can the “Go'el Hadam” kill the inadvertent killer if he lives in any refuge city after the Cohen Gadol dies? What happens if the Kohen Gadol is replaced while someone is in the Ir Miklat? Does a person who kills someone by accident have to go live in Chevron nowadays? Is an accidental murderer allowed to stand and fight the Goel HaDam? If a blood avenger somehow gets into a city of refuge and kills the killer, is he subject to the death penalty? Is killing the terminally ill OK?